Who have been named finalists in the ATA's Trucking Conference awards to be held in Perth on Friday. The federal election is going to kick off soon. It is likely there will be a change of government. With a change of government will come a new policy agenda for the transport industry including a re-focus on the RSRT. As a consequence, we are providing a briefing on the newly revised safe rates debates for our members. Come along and hear Brent Ferguson (Special Counsel for Ai Group) and David Bray (NSW Manager and solicitor) discuss where the likely legislative actions will take us post election. How quickly will safe rates arise post election? And what will the cost and benefits be to your business? Update on TWU claims relating to the General Carriers Contract Determination"
Road Freight NSW recently met with Container Chain and had a frank discussion with senior management about our concerns about the 'weird and seemingly gratuitous penalties'. A number of our operators have described the penalties as obscene and liable to abuse. 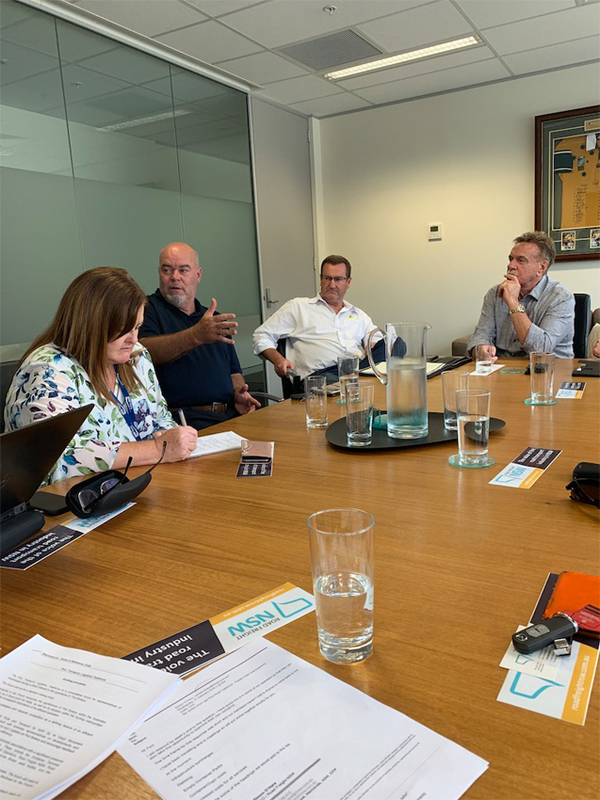 On Thursday 28 March 2019 we met at the Port with Qube and DPWL and the CTAA to take an industry approach to dealing with the problem of empty container yards and charges coming through from empty container parks. See the media release below for more information. The impasse on this front has been breached and parties seem to have returned to their core businesses at the Ports with further strike action called off. RFNSW have seen recent media reports of RMS being swallowed whole by TfNSW. We will let you know how that goes. 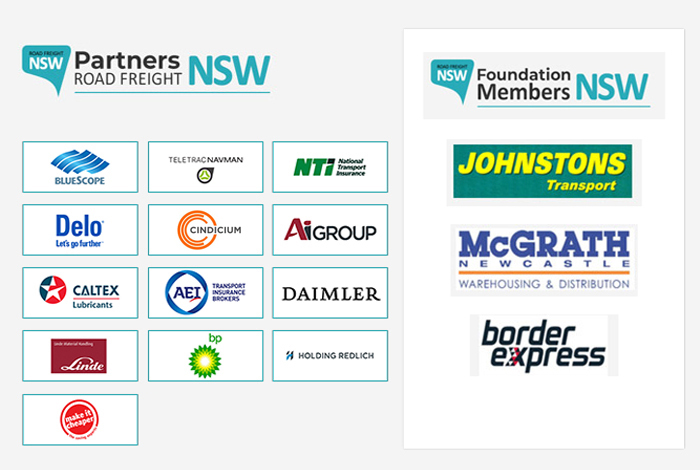 Container Transport Alliance Australia (CTAA) collaborated with Road Freight NSW on Thursday, 28 March 2019 to bring together container transport logistics operators and empty container depot operators in Sydney for constructive discussions on pressing empty container management issues. The meetings were supported strongly by NSW Ports and empty container management technology provider, Containerchain. Stakeholders met with Qube Logistics and with DP World Logistics to discuss the operations of the two largest empty container depots in Sydney - Qube/MCS Cooks River and DPWL Parks 1 & 2, Port Botany. CTAA Director, Neil Chambers, observed that "the costs of empty container management in Sydney have been increasing and chain efficiencies have been lacklustre for a range of reasons." "We were really pleased with the candid and collaborative exchanges between the transport operators and empty depots. It is proof that industry stakeholders can effect change through mature dialogue and the appreciation of each other's needs." Neil Chambers said. 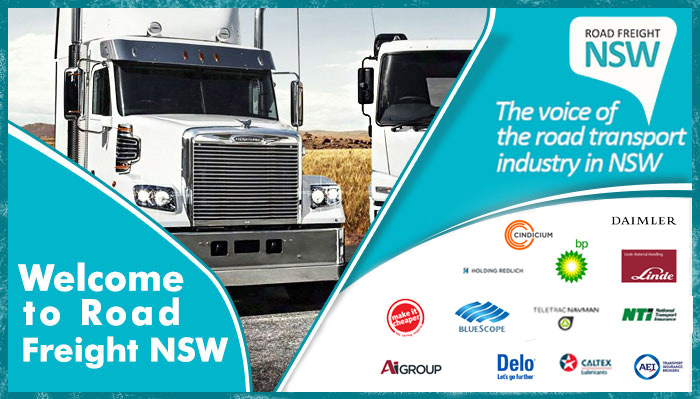 Road Freight NSW CEO, Simon O'Hara, echoed the positive sentiment. "Container transport operators are significant customers of the empty depots, paying considerably for Containerchain fees to do business with the depots." 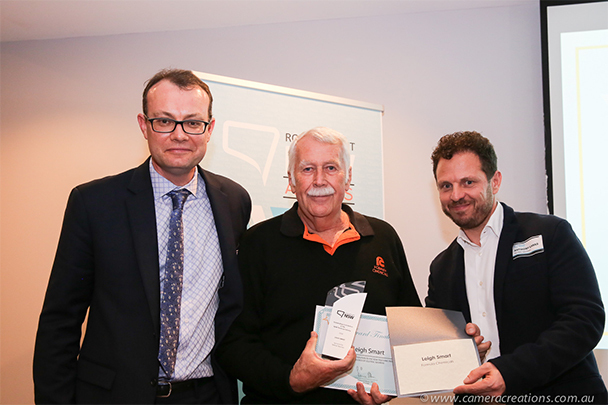 "It was refreshing that this is recognised by the depots and by Containerchain itself." "There are issues that transport operators and depots need to tackle together. These include a coordinated approach to shipping lines to provide 100% electronic information exchange on empty container destinations, the need for adequate notice on empty container redirections, and for shipping lines to consider the extension of container detention deadlines where external factors such as Brown Marmorated Stink Bug (BMSB) fumigation cause delays in the landside logistics chain." "It's clear from these initial meetings that we will be able to work collaboratively as a powerful combined force to approach shipping lines to achieve positive change." DPWL will continue to work with transport operators to facilitate ad-hoc additional notifications where possible, and to accommodate after hours’ bulk-runs where volumes are sufficient. 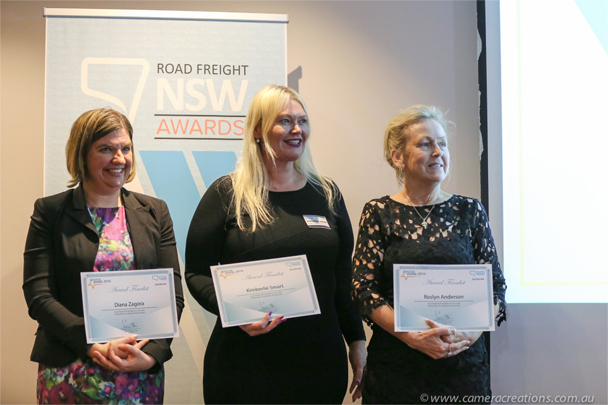 "CTAA and Road Freight NSW will liaise closely with DPW Logistics to measure the success of these initiatives over the next few months." Neil Chambers said. "This is the start of a new chapter in NSW to address empty container management issues at the industry level with a view to improving productivity, efficiency and cost effectiveness." 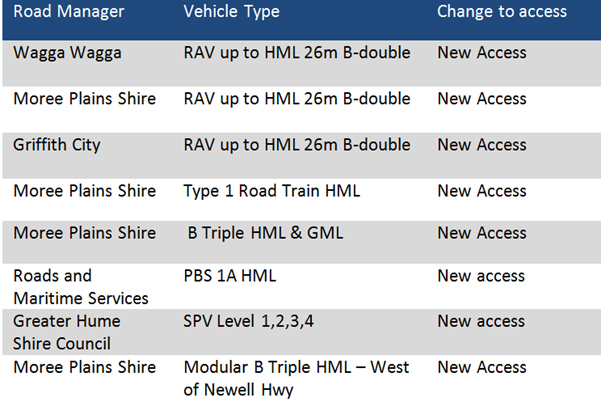 The online Restricted Access Vehicle (RAV) maps provide information on the enforceable road network restrictions and routes available for use by heavy vehicles in NSW. Roads and Maritime welcome any feedback on the RAV maps. Maps are refreshed to include updates every two weeks. The changes contained in the table above is for information only and should be verified against the online maps before you start your journey. Any observations, enquiries or comments should be directed to journey.information@rms.nsw.gov.au. 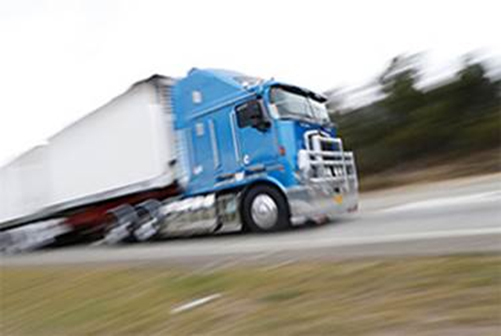 Pursuant to section 705 of the Heavy Vehicle National Law (HVNL), the National Heavy Vehicle Regulator (NHVR) has the power to make guidelines about the preparation and content of an industry code of practice that is registered under the HVNL. And with that power, comes great responsibility to ensure parties in the Chain of Responsibility (CoR) are in compliance with the HVNL. On 29 November 2019, the NHVR approved the first Registered Industry Code of Practice, otherwise known as the Master Code. However the Master Code isn't just a safety and compliance tool for businesses in the CoR. It also has legal standing. Section 632A of the HVNL applies in a proceeding for an offence under the HVNL and allows a registered industry code of practice to be admissible as evidence of whether or not a duty or obligations under the HVNL has been complied with. Accordingly, the Master Code isn't simply a set of suggestions to help businesses with their safety and compliance under the HVNL. The Master Code can and will be used against CoR parties if it can be shown that they have completely failed to identify and address the common risks identified in the Master Code. Given the significance of the Master Code in the CoR space, we will spend the next few months addressing the Master Code's application to each "pillar” of the CoR regime. In this article, we address the application of the Master Code to mass, dimension and load restraint. The first port of call is the overarching primary duty under section 26C of the HVNL. Under section 26C, each party in the CoR for a heavy vehicle must ensure, so far as is reasonably practicable, the safety of the party’s transport activities relating to the vehicle. ensure the party's conduct does not directly or indirectly cause or encourage the driver of the heavy vehicle to contravene this law; or another person, including another party in the chain of responsibility, to contravene this law. Pursuant to sections 96, 102 and 111 of the HVNL, a failure to comply with the requirements under Chapter 4 or allowing another person to be in breach, will result in a breach unless there is a reasonable excuse. The stated purpose of the mass, dimension and loading requirements in the HVNL is to decrease the risks associated with excessively loaded or excessively large heavy vehicles and as a consequence, improve public safety. 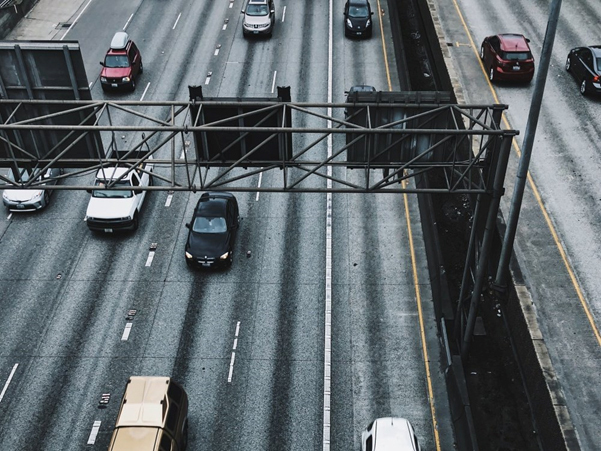 heavy vehicles in breach of the mass, dimension and load restraint requirements will cause significant damage to road infrastructure and result in serious incidents and traffic congestion. It is a stated goal that the HVNL attempts to curtail any adverse impact of heavy vehicles on road infrastructure and/or public amenity. Accordingly, the HVNL forces parties to ensure they are proactively trying to address the risk of incidents such as over-height loads colliding with bridges, tunnels and overhead powerlines. The Master Code recommends parties implement a risk-based approach to manage safety and ensure compliance with the HVNL provisions in relation to mass, dimension and loading. There are many ways that this can be achieved and there isn't going to be one control that can be implemented which will address every risk. Every compliance framework must be agile enough to respond to new and existing risks in a business' commercial activities. However, other controls will be unique to the specific business and where they sit along the CoR. For example, employers and prime contractors will have to make sure a review process in place to check a driver or subcontractor is performing the activity according to their employment or contractual arrangements and that those arrangements are effective in managing mass, dimension and loading risks. On the other hand, a scheduler will need to have a control in place to make sure route (journey) plans take into consideration mass and dimension requirements to ensure the route/ infrastructure is suitable for the load and complies with any route permits or conditions as applicable. As stated above, the Master Code isn't just a list of suggestions but a tool to assist CoR parties to ensure compliance with the HVNL but also extends to other safety matters beyond the core responsibilities of CoR. Consultation is open until the end of May 2019.